A New Day Has Dawned In The World Of Urban Literature With SoulFire Books! CHARLOTTE, N.C. - January 1 2019— At SoulFire Books, our mission is to elevate and to evolve African-American literature by being fundamentally committed to being at the forefront of a new direction in our literary progression. At SoulFire Books, we acknowledge the awesome power of language simply because we understand how words shape and influence our behavior. And with this in mind, we fully intend to explore and to exploit the richness of the English language in a concerted attempt to breathe new life into the narrative of African-American literature. At SoulFire Books, we will teach, we will heal, and we will be unapologetic about our mission to introduce and to acquaint you with some of the most progressive African-American literature of our times. 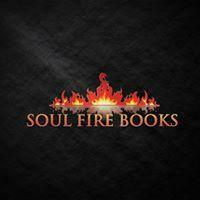 SoulFire Books, a vehemently strong advocate of social consciousness, is the direct outgrowth of our burning desire to reform African-American literature, and to that end, Soulfire Books is here to free urban literature of its rigid reliance on sexual gimmicks, predictable plots, and unrepentant repetitiveness. At SoulFire Books, we have built a strong body of work that will not only complement the work of the Harlem Renaissance, but will complete it. Gibran Tariq, CEO and Founder of Soulfire Books, who has spent 35 years of his life in some of the toughest prisons in the country, emphatically declares that, "Any time the literature of a colonized people does not aggressively confront the conditions and plight of that people, then their writers have failed them." Tariq adds that from the very onset of the literary tradition of black people in this country, the primary focus of the written word has always been to inform, to educate, and to warn. Explore the vast literary world of Soulfire Books where black literature has a purpose. Expose yourself to urban lit with a conscience where we don't merely welcome your literary presence, we celebrate and enhance it.